Most people trying to maintain healthy routines know that natural is best when it comes to diet, skin, and body care. And while sometimes this can mean buying products that are on the pricier side, other times, it’s much cheaper to stick with the basics. As a matter of fact, you may already have an entire beauty toolkit in your kitchen! For instance, coconut oil can moisturize and remove makeup, while baking soda can exfoliate skin and clean hair. But the best way to detox your body inside and out may be with Apple Cider Vinegar, or ACV, a pantry staple that can completely hack your health routine -- and all for just a few bucks. The best kind of ACV is organic and raw (there may be some particles floating in the bottom, but that’s totally normal). So pick up a bottle and watch your health improve by trying the simple hacks below. 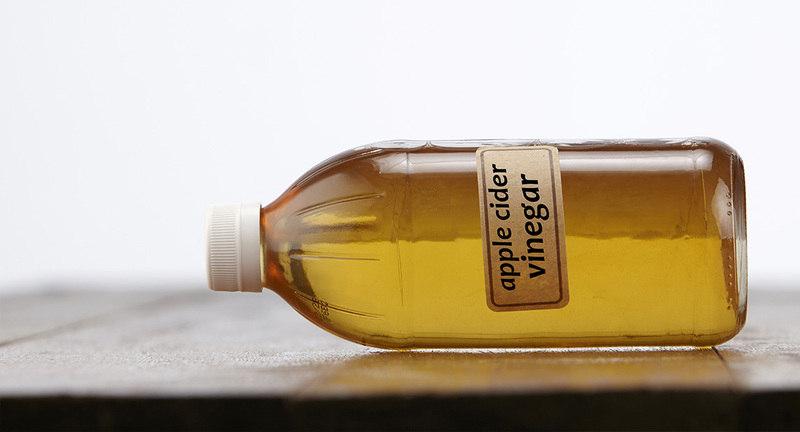 Mix one tablespoon of ACV with water or tea to help cleanse the liver, a handy trick to know before the holidays! (Want something tastier? Try these yummy recipes). Mix equal parts ACV and water, then use it to rinse your hair or apply it with a spray bottle. Let sit for 15 minutes, then rinse or wash out. This natural astringent tightens the skin, so pour it onto a cotton ball and wipe your face for the world’s most affordable (and effective) facial toner. Got a zit? No problem. Spot-treat that sucker with ACV before you go to bed at night. Bye-bye blemish! Wet a cotton ball or tissue with the stuff, and place it over the wart. Bandage it up to keep it in place, then let it sit overnight. Repeat until the wart disappears. If you’ve had too much fun in the sun, put a cup or two of ACV in your bath water and soak for relief and faster healing.